As the jewel tones of Autumn begin to appear with the fireworks bursts of sugar maple reds, the Northeastern United States turns into an idyllic, Norman Rockwell-esque land of farmers markets, children playing in leaf piles, and explosive colors blanketing the hills. Well-known as one of the preeminent leaf viewing destinations in the world, this part of the country also offers outdoor enthusiasts the chance to go beyond the typical drive-by ‘leaf peeping’ and straight into the heart of some of the region’s finest destinations and most iconic autumn experiences. From peak bagging to sea kayaking, here are 10 Northeastern autumn adventures not to be missed. 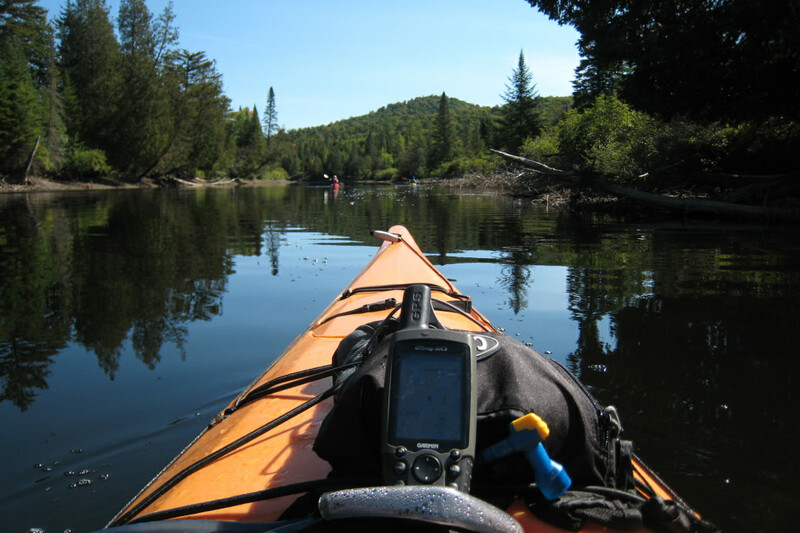 Float along through the heart of the largest state park in America on the Northern Forest Canoe Trail. Totaling 740 miles, the NFCT is an epic adventure any time of year. 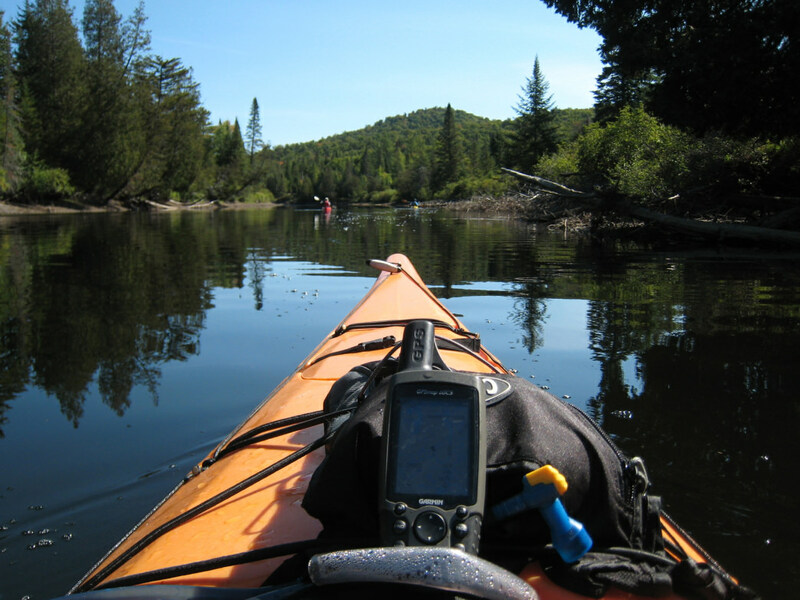 About 150 miles of the canoe trail run through Adirondack Park. Starting at the quaint and friendly town of Old Forge, the trail begins at “the Pond” and goes through the Fulton Chain of Lakes on the way to Long Lake and the Raquette River in the High Peaks Wilderness. From there, it heads to the Saranac Chain of Lakes to the Saranac River, where it leaves the Adirondacks and heads into Lake Champlain. The only road traversing New Hampshire's Coast, cycling the Coastal Byway is the perfect way to spend a weekend in the saddle while enjoying some fresh sea breezes and candy-colored foliage. Start your ride on this unique highway in the history packed town of Portsmouth and continue for 18 rolling miles down to the Massachusetts stateline. Along the way, plan a stop at the Strawbery Banke Museum and check out the Odiorne State Park and the Seacoast Science Center in Rye. In North Hampton, enjoy the lull of the offseason in this normally bustling beach town. The Berkshire Mountains of western Massachusetts have been an undeniable gemstone of Autumn in the Northeast for decades and the ‘go to’ for blue-blooded families for generations. Getting a bird's eye view of the rolling hills, Connecticut River, and quaint towns of this historic area while floating along in the serenity of a hot air balloon is like a little slice of heaven. It’s rare to find such a unique, and romantic, way to experience the glory of fall. Like to get up close and personal with nature? Can’t wait to get a little dirty under the colorful canopy of fall? Then take a tree climbing class with the New England Tree Climbing Association where students can learn from the pros how to scale a massive hardwood in style. From selecting the best tree, to safety procedures and knot tying, it's a unique weekend adventure guaranteed to make your Monday morning water cooler talk a little more interesting. Fall in the Shawangunks's means beautiful colors and cool temps that only serve to enhance the world-class climbing for which the the area is legendary. The Shawangunk Ridge, also known affectionately as “the Gunks”, is the continuation of the long, easternmost ridge of the Appalachian Mountains and offers some of the best bouldering and climbing on the East Coast. Located just outside the delightfully funky town of New Paltz, keep an eye out for a weekend farmers market with unusual flair or think about going apple picking at one of the area's storied orchards. With 48 peaks at over 4,000 to choose from, bagging a peak in the airy landscape of New Hampshire's White Mountains should be on everyone’s bucket list. A couple of the recommended hikes include Mt. Pierce for beginners. Following the moderate-rated Crawford Path—which is the oldest, continuously maintained, hiking path in America and has fantastic 360 degree views—this hike is a classic. For advanced hikers, the more strenuous trek up 4,760 foot Eisenhower peak is recommended for the awe-inspiring views of the Presidential Range, and there are even a couple of huts that can be pre-booked to make a weekend out of it. Ziplining is perhaps one of the most thrilling ways to enjoy the colors of autumn. If soaring 35 miles per hour above, and sometimes through, the Vermont tree canopy sounds like an exciting family outing, there are a few outfitters in the area to choose from. Two, in particular, to start with are Stowe Mountain Lodge and Arbortrek Canopy Adventures. Don a pair of waders, grab a rake, and get up close and personal with the flooded cranberry bogs of rural Massachusetts and enjoy a crisp day outdoors submerged up to the hips in cheerfully bobbing red berries. The little known art of cranberry growing is celebrated in this part of the country with a variety of seasonal festivals and other special events sure to please the whole family. For a nostalgic journey through some of Connecticut's best natural scenery, the Essex Steam Train offers passengers the chance to roll through the stunning Connecticut River Valley on a vintage locomotive. Enjoy a gourmet meal in the comfort of a fully restored 1920’s Pullman dining car, as the colorful mosaic landscape rolls by outside your window. Also available are combined river and train trips through the unspoiled land that is the Connecticut River Valley, called one of the “last great places on Earth” by the Nature Conservancy. Written by Lisa Collard for RootsRated.